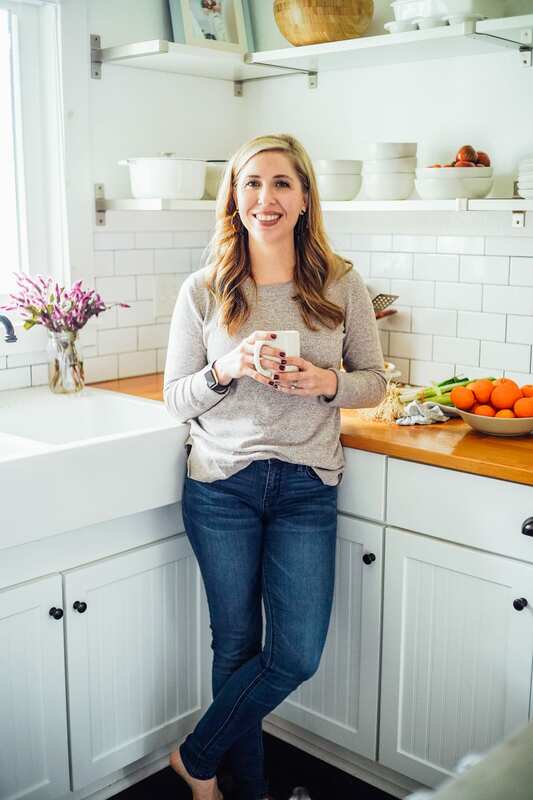 If you’ve been around Live Simply for any length of time, you know that I’m a huge fan and advocate of food prep. 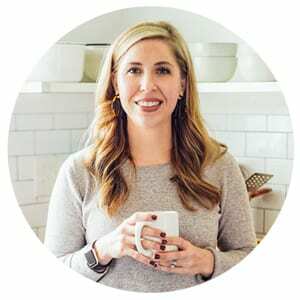 I’m talking about intentional, simplify-the-week-to-come food prep. Breakfast and lunch are my biggest stressors during the week, so that’s where I like to focus. With this in mind, and thinking about food prep components, a typical prep time may look like cutting up some raw veggies, roasting a tray of veggies, making a dip or sauce, cooking a grain or pasta, cooking a protein or soup (a whole chicken, beans, or a hearty soup), and then focusing on one or two breakfast components (muffins, waffles, pancakes, overnight oats, or hardboiled eggs in the Instant Pot). The idea is to prep foods that can be used multiple times throughout the week and then paired with other foods, which can be made the day of and are usually easier to prepare. One of the foods I regularly prep for breakfast is overnight oats. 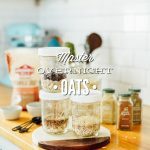 If you’re new to overnight oats, think of overnight oats as traditional oatmeal that’s usually served cold, straight from the fridge, and is prepped in advance to magnify and marry the flavors and also soften the oats. I know, cold oats may not sound the most appetizing, but they are good. Promise! I wouldn’t share a recipe with you unless I personally love and enjoy it. 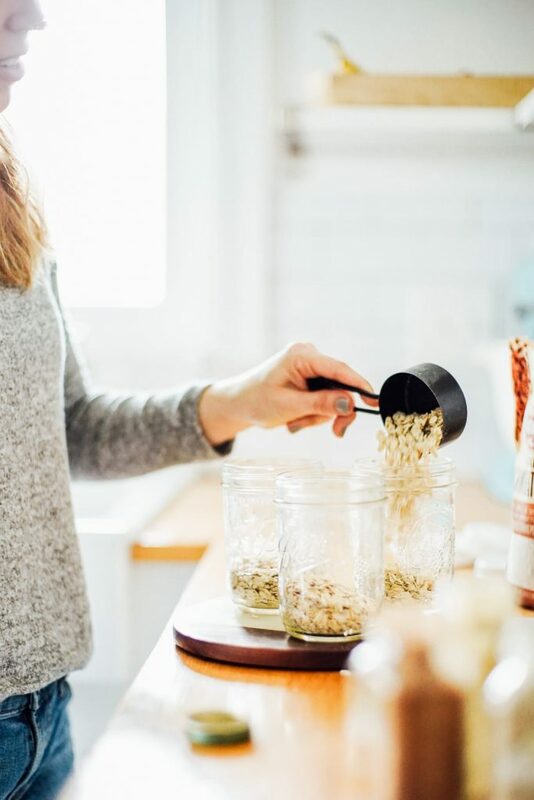 And if you’re still opposed to the idea of eating cold oats (it’s okay, I get it), you can always prep the oats in advance and then toss the cold oats in a saucepan, with some extra milk or water, and warm them up before enjoying. 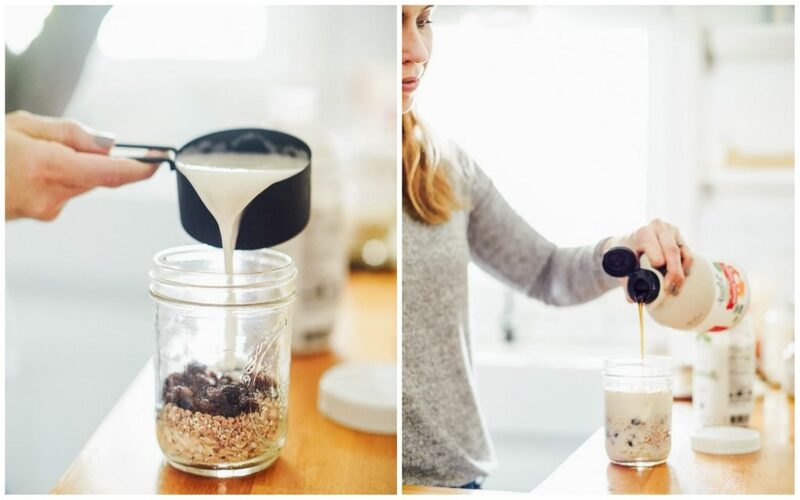 Overnight oats may be served alone or “spiced up” with a variety of spices, toppings, or mix-ins, likes: dried fruit, nut butter, chia seeds, hemp seeds, cacao nibs, cocoa or cacao powder. 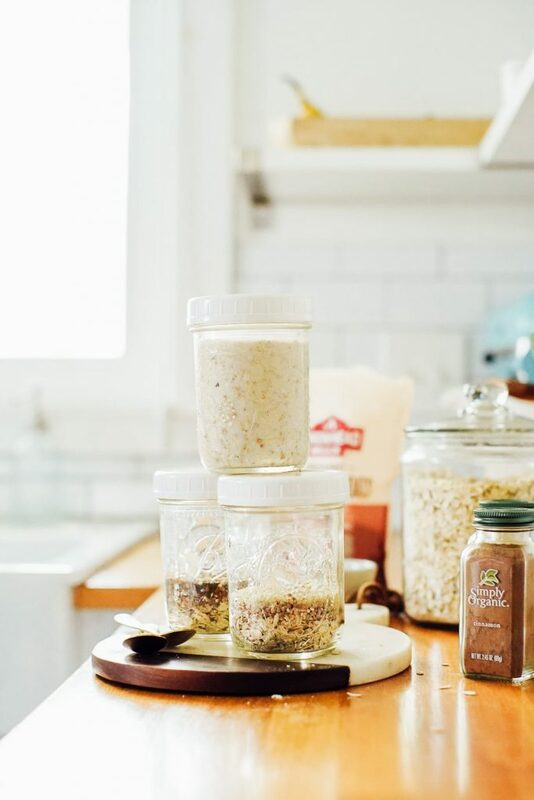 Because of this, overnight oats never get old. You can make a different variation of oatmeal every single week, if desired. 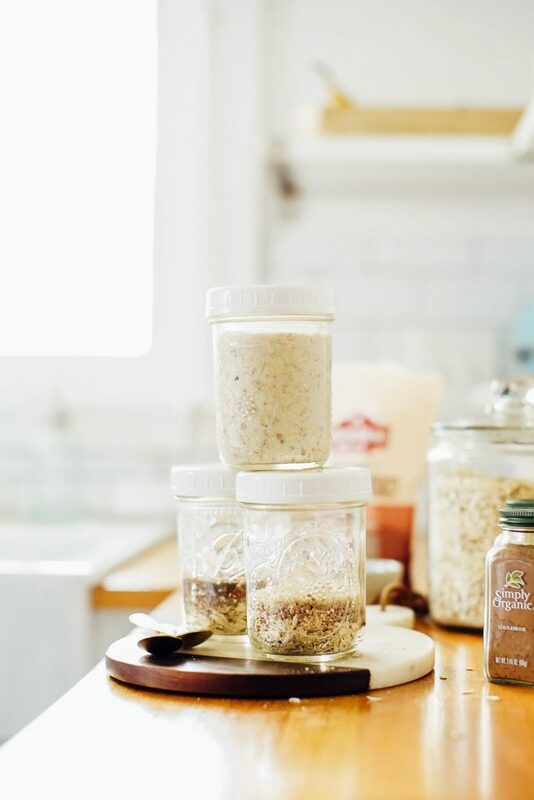 In the past, I shared my favorite overnight oats recipe. That recipe makes multiple servings in one jar. Today, I want to share the master recipe that my favorite recipe is based on. This master recipe, just like the other master recipes I’ve shared (muffins and granola), is a base recipe that may be customized in many different ways. Start with the base ingredients: the base dry and base liquid ingredients and then customize from there. To customize, add in the spice desired, any seeds or dried fruit desired, or even a nut butter or cocoa or cacao powder. I think it’s fun to make multiple jars in different ways. 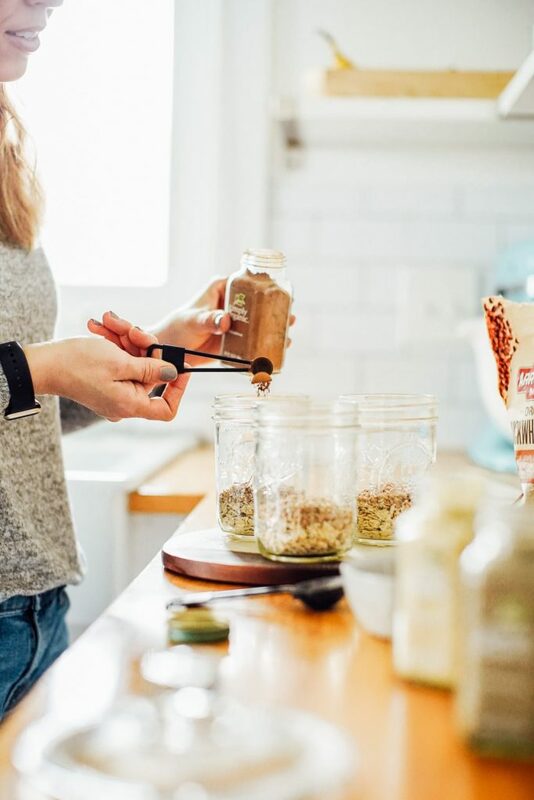 You can also mix together the dry ingredients desired and then store the jars (sealed, of course) in the fridge or pantry until you’re ready to add the liquid ingredients and enjoy hours later or a couple of days later. 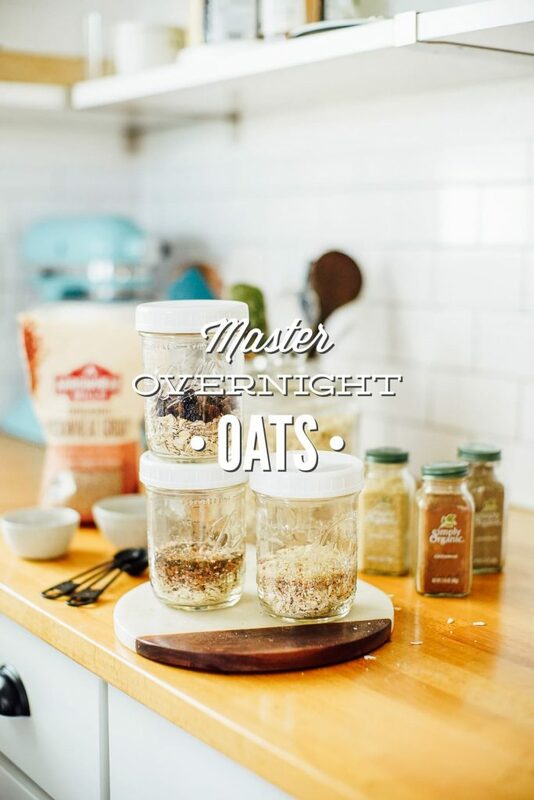 A master overnight oats recipe with multiple possibilities. Make the base recipe and then customize the recipe to your liking. 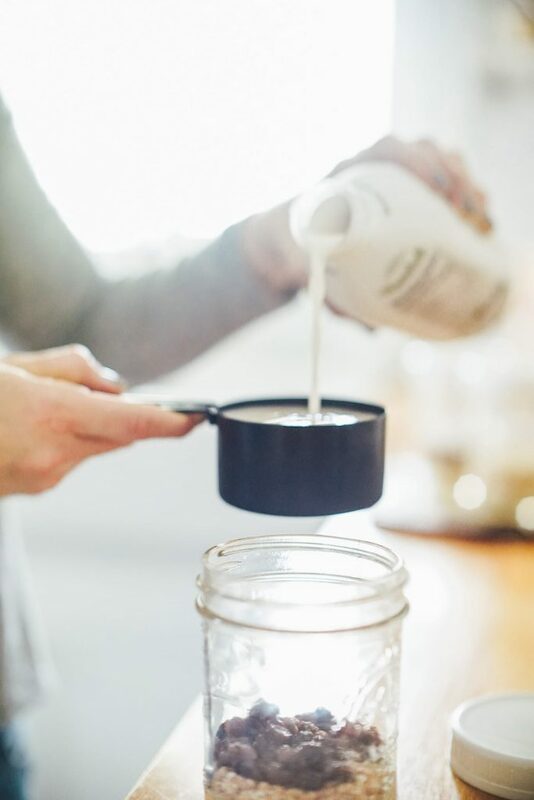 Pour all the base dry ingredients and base liquid ingredients into a mason jar (8 ounces or larger). Add any optional dry ingredients desired, and/or any optional liquid ingredients to the jar as well. You can add one optional ingredient, multiple optional ingredients, or none. The optional ingredients (and spice) allow you to customize the oats to your liking. Stir the ingredients until well combined. Refrigerate the oats overnight. The oats may be kept in the fridge for 2-3 days. 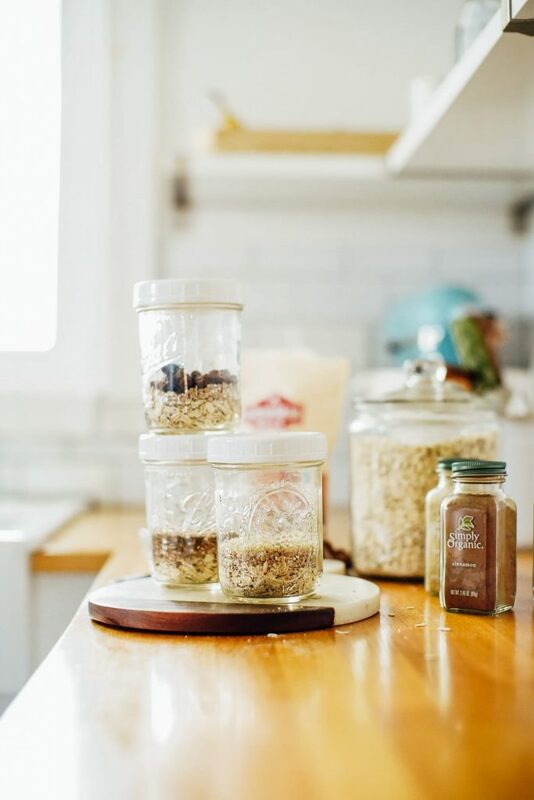 Alternatively, you can make multiple jars of dry oat mixes, seal the jars, and store them away in the pantry or fridge until you're ready to add the liquid ingredients. Once the liquid is added, store the oats in the fridge and serve within 2-3 days. To enjoy, add any optional toppings to the top of the oats. I personally like to top my oats with a nut butter, banana or berries, and hemp seeds. Enjoy. This recipe makes enough for one serving (1 cup). * A few of my favorite spice options: cinnamon, pumpkin pie spice, cardamom, nutmeg (only a few pinches, not 1/2 tsp), cloves (only a pinch or two, not 1/2 tsp), ginger (only a pinch or two, not 1/2 tsp). You can also add in turmeric powder, if desired. If adding turmeric, start with 1/4 tsp since the taste is potent. You can also mix spices to create a custom flavor profile. Calorie Count Disclaimer: The nutrition facts are for every ingredient listed. While I believe in nourishing ingredients over counting calories, we do provide calorie information to keep Google happy. That said, in this situation, if you're looking at the calorie information, the count isn't accurate unless you added every single ingredient listed here to your overnight oats. How long can these stay in the fridge once prepared? How soon after should they be eaten?